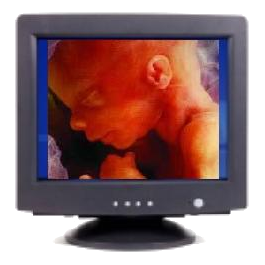 ProLifePC.com is a call-to-action, specific to the pro-life computer user, in support of Life Decisions International boycott effort of companies that support an abortion-focused organization called Planned Parenthood. Regardless of what you think about abortion, what does JESUS THINK about abortion? Would JESUS himself perform an abortion? Does He tolerate abortion? I don't think so. What brand of programs would Jesus want you to use? What kind of Operating System would Jesus want you to use? Perhaps programs or operating systems that are not Microsoft products because Microsoft supports an organization called Planned Parenthood whose main focus is providing abortion? The reasoning is simple. Boycott Microsoft products because Microsoft supports Planned Parenthood, Inc. So what about my current Microsoft software? This boycott just applies to new software and systems, correct? No. It applies to new as well as current software, even if it was bought already. Here is why. Microsoft holds an illegal Monopoly in the U.S market. However, the market has been bought. And the government has been bought. The government won't disolve this company. So as they hold an illegal market, they hold controls over choices. So consumers do not readily have a choice other than Microsoft. Also, what if someone comes to you and asks you how to do something with your computer, and you tell them, "I use this Microsoft product...". Then, that person says, "Well I'll guess I'll do that too. I have to go and buy that Microsoft software." See, you just sold software for Microsoft, and potentially gave more money to Planned Parenthood. People get used to how their Microsoft programs work. You need to start retraining yourself. Start using alternative free software today (free as in freedom and no-cost). There is a lot of Freedom Software listed on our RESOURCES FOR BOYCOTTING webpage. For more information regarding prolifepc.com, please e-mail 'info AT prolifepc.com'. Microsoft is a company included on the official Boycott list from LDI. The list is a list of companies that contribute to Planned Parenthood, the Nation's number one abortion provider. The boycott list is compiled and published by LDI. in a PBS interview by Bill Moyer. Disclaimer: ProLifePC.com information and links are not affiliated commcerially or non-commercially with any company, group, or individuals listed on this website. Any link on this website does not generate any income or has not been sponsered by any company, group, or individual. Any and all information on this website is for informational purposes only."